10″ Tall from bottom to top. 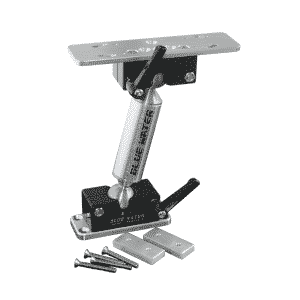 Includes FREE mounting screws & backing plates. 8″ Tall from bottom to top. 16 feet of red, black, and green. 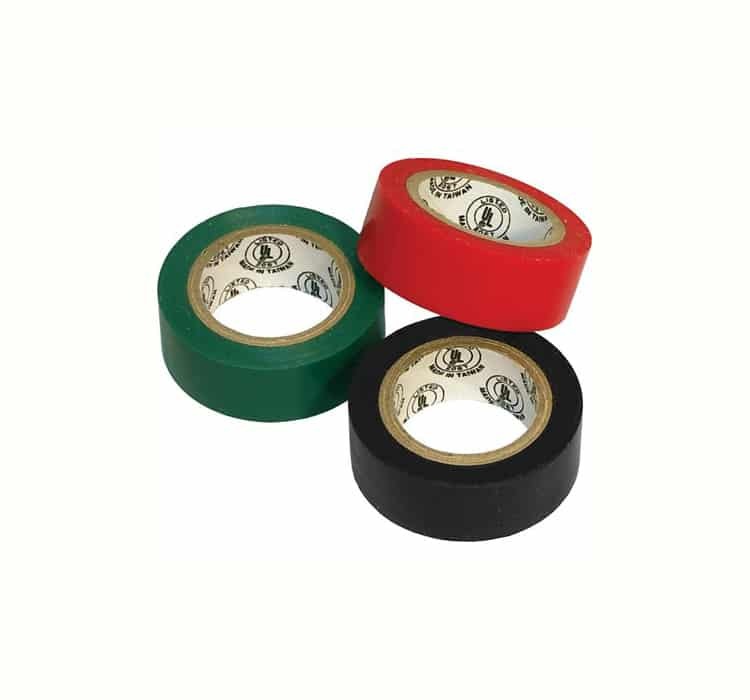 UL approved electrical tape. The Cyclops Submersible Fishing Light offers an output of 1,300 Lumens to make your fishing excursion an easy and enjoyable experience. 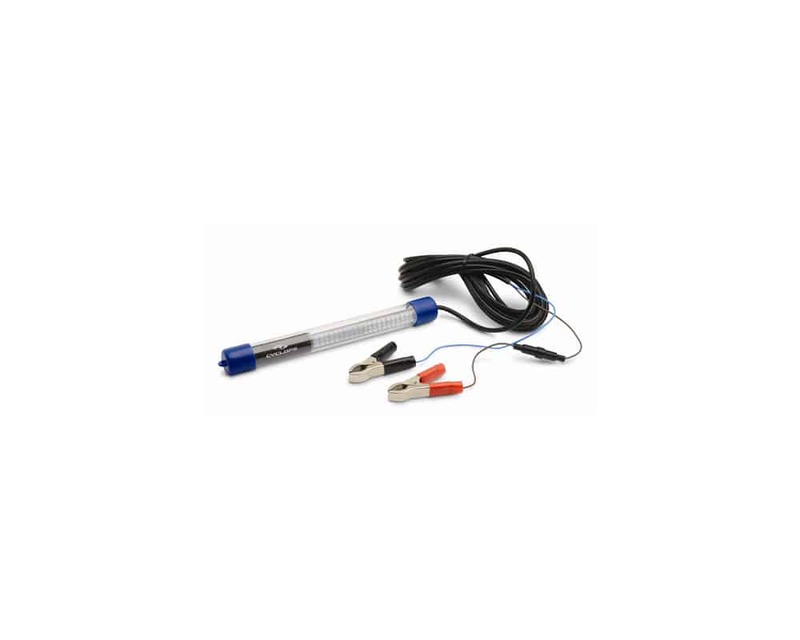 This fishing light is submersible up to 16 feet deep and has a built-in heavy zinc-alloy sinker. Various fish are attracted to the light, including plankton, bait fish, and many larger species of fish. The 20-foot battery cable is impact-resistant with a heavy-gauge construction and the 12V DC red and black battery clips are simple to organize. 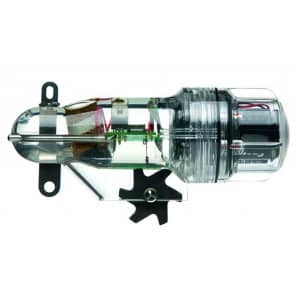 This fishing light will improve your overall fishing experience. 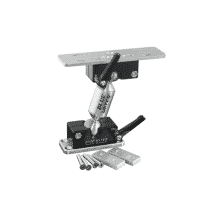 Please call (989)879-1110 Ext 6 for more information about this product. This item is available to order over the phone. Please call 989-879-1110 ext 6 or email info@northwoodsoutlet.com for more information about this item. Smaller. More powerful and efficient. Bulletproof. 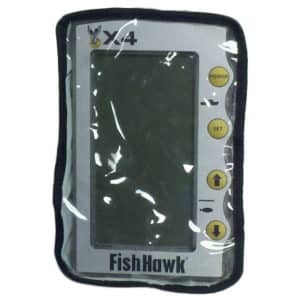 The Fish Hawk X4 Trolling Probe is the most advanced probe ever built. Introduced in the spring of 2009, the X4 Probe continues to get rave reviews from trollers already using them. 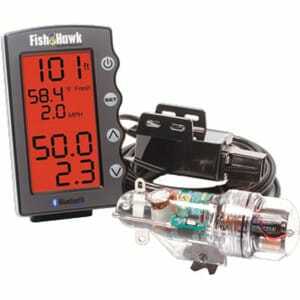 Already own a Fish Hawk? 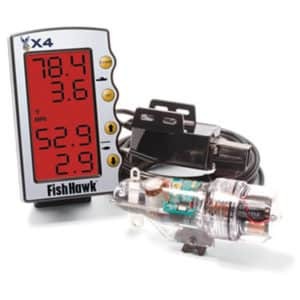 No problem, the X4 Probe works with the older Fish Hawk 840 Thermo Troll. Keep your display safe in foul weather with this cover designed for it. 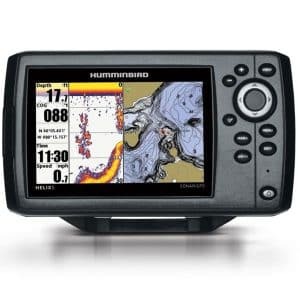 Ideal for anglers that want to know exactly what’s under the boat, the HELIX 9 CHIRP MEGA DI GPS G2N features a large 9″ display with LED backlight. 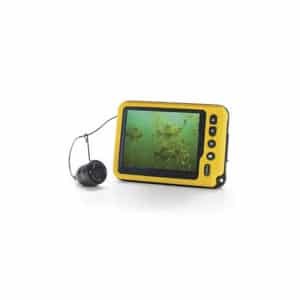 MEGA Down Imaging gives you a crystal clear picture below your boat so you can see brush, logs, weeds, fish and any other fish holding structure. Dual Spectrum CHIRP 2D Sonar allows for two predefined frequency spectrums. What that means is you get improved target separation, giving you the confidence that what you see on your screen is consistent with what’s in the water. ​The HELIX 5 CHIRP DI GPS G2 with our new user interface and operating system, features ​a brilliant 800H x 480V, 5″ 256 color display with backlight. CHIRP Down Imaging and DualBeam PLUS sonar with 4000 watts PTP power output, Precision Internal GPS Chartplotting with built-in UniMap cartography with a micro SD card slot for optional maps or for saving waypoints. 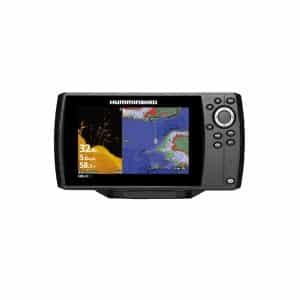 Maximize your angling experience with the Humminbird HELIX 5 CHIRP DI GPS fishfinder GPS system. ​The HELIX 5 CHIRP GPS G2 with our new user interface and operating system, features ​a brilliant 800H x 480V, 5″ 256 color display with backlight. CHIRP DualBeam PLUS sonar with 4000 watts PTP power output, Precision Internal GPS Chartplotting with built-in UniMap cartography with a micro SD card slot for optional maps or for saving waypoints. 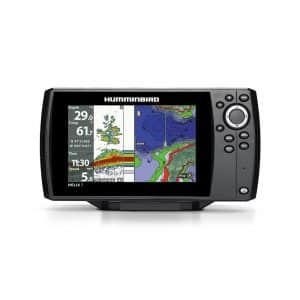 Maximize your angling experience with the Humminbird HELIX 5 CHIRP GPS G2 fishfinder system. The HELIX 5 CHIRP SI GPS G2 with our new user interface and operating system, features ​a brilliant 800H x 480V, 5″ 256 color display with backlight. CHIRP Side Imaging/Down Imaging and DualBeam PLUS sonar with 4000 watts PTP power output, Precision Internal GPS Chartplotting with built-in UniMap cartography with a micro SD card slot for optional maps or for saving waypoints. 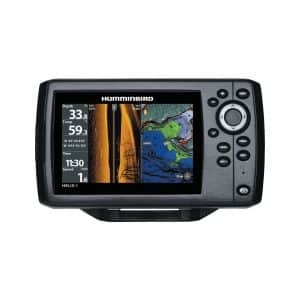 Maximize your angling experience with the Humminbird HELIX 5 CHIRP SI GPS fishfinder GPS system. 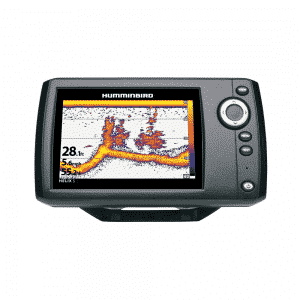 Humminbird’s Helix 5 Sonar G2 delivers crisp images in a compact package that’s perfect for your boat, canoe or kayak. G2 sonar units feature updated software to enrich your time on the water. DualBeam PLUS™ combines two beams for extra-wide coverage as well as precision. SwitchFire™ sonar gives you two modes to customize your display based on conditions. Clear Mode is perfect for choppy water, as it reduces clutter to produce clear images of both fish and structure down to 1,500 ft. Max Mode lets you see fish, cover, structure, thermoclines, water current and even your lure when the conditions are calm. 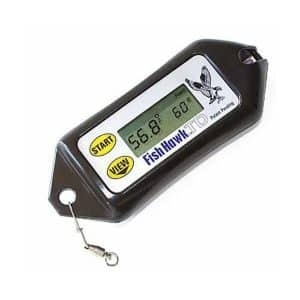 Selective Fish ID+™ alerts you when fish are in your vicinity, and even shows you their relative size. 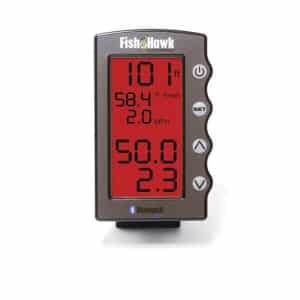 Alarm sounds when water temperature reaches a preset point, letting you know when conditions are changing. Easy-to-read 5″ LED-backlit 800 x 480 screen with 1,500-nit brightness. 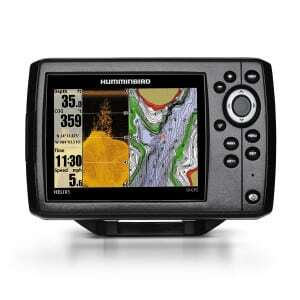 ​The HELIX 7 CHIRP DI GPS G2N features a large 7″ display with LED backlight, CHIRP Down Imaging and CHIRP 2D sonar. 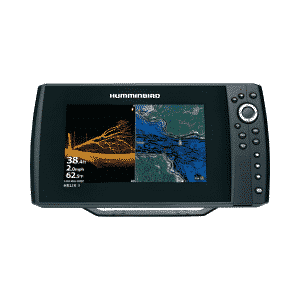 Includes GPS chartplotting with built-in Bluetooth, Ethernet networking capabilities, AutoChart Live with depth, vegetation and bottom hardness mapping.